Easy to mount and adjust, these fenders provide protection from dirty water or muddy routes. A good option for touring or cyclocross bikes with 700 x 25-32 tires. 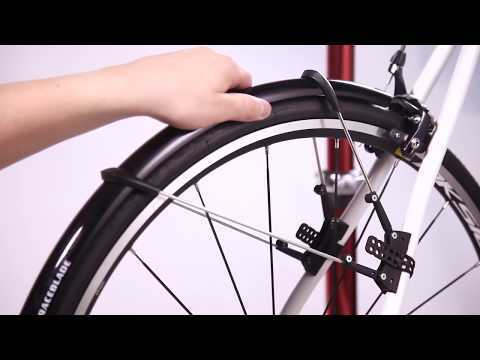 Once the mounts are on your bike, you can clip on and take off the fenders when not needed. Position is easily adjustable to get a perfect fit. Designed to fit bikes without traditional mudguard eyelets. Includes mudflaps for additional spray protection. Both front and rear fenders included. Fender lenght is 565mm for the front one, 730mm for the rear.